Dr. Kontoyiannis is a Professor and Deputy Head of the Division of Internal Medicine at The University of Texas, MD Anderson Cancer Center in Houston, Texas. His work in clinical and translational mycology includes epidemiology, natural history, prognosis, and management of virtually every common mycosis that afflicts immunocompromised patients. Dr. Kontoyiannis maintains a funded translational, laboratory-based program for the last 17 years, from mini-host organisms, to mammalian models, immunopharmacology, and in vitro screening of novel antifungals. He has been extensively involved in the design and implementation of several clinical trials of novel antifungal agents for both the prophylaxis and treatment and is a member of the writing committee for the IDSA Aspergillus treatment guidelines. Dr. Kontoyiannis has authored more than 450 manuscripts, is among the top 2 most highly cited investigators in the area of mycology with an H factor of 78 and with over 25,000 citations. Dr. Kontoyiannis has taught many courses on infectious diseases, lectured at international conferences on infectious diseases, served as visiting professor in many prestigious universities and he was recently appointed “Mentor of the Year” at MDACC. We are proud that he is an associate editor for Mycoses, the journal of the ECMM. Dimitrios, you are a living bridge between the Old World and the New World. A clinical and lab-based scientist who can comprehensively present on almost any given topic in medical mycology. In a spontaneous discussion on any – one may assume – new topic or aspect he would highly likely state, “we have a paper in print on this”. Dimitrios, you are a most reliable partner, an inventor of ideas answering questions in medical mycology others did not even dare to ask. It is an honor and a pleasure likewise to dedicate the 2015 Drouhet Medal to Dimitrios Panayiotis Kontoyiannis. Dr. Denning is an infectious diseases clinician with expertise in fungal diseases. He spends about 40% of his time seeing patients, principally with various forms of aspergillosis and other forms of fungal disease and complex infection issues. He is a Professor of Infectious Diseases in Global Health, The University of Manchester; Director, National Aspergillosis Centre, University Hospital of South Manchester. He trained at several UK hospitals, in Glasgow and in Stanford, California. He has been researching, and caring for patients with aspergillosis since 1985. Dr. Denning has published more than 500 papers and book chapters. He has successfully lead many major international collaborative projects and clinical guidelines, most recently together with ESCMID and ECMM the Guideline on Chronic pulmonary aspergillosis. He is heavily involved in postgraduate teaching and lectures worldwide. He was instrumental in the establishment of the Mycology Reference Centre in Manchester (2009) and in the foundation of the First ECMM Excellence Center for Medical Mycology. His work has been cited over 50,000 times (Hirsch index is a frightening 108). He is the Founder of 2 University spinout biotechnology companies – F2G Ltd and Myconostica Ltd. He chairs the Editorial Board of The Aspergillus Website (1998-) (www.aspergillus.org.uk) which attracts up to 100,000 visitors monthly. He leads LIFE (Leading International Fungal Education) (www.LIFE-Worldwide.org) is President of the Global Action Fund for Fungal Infections (www.GAFFI.org). He co-chairs the alternate year “Triple A” Advances Against Aspergillosis Meeting. So, he is 100% fungal person. On a personal note, David Denning is very convincing and does not give up easily (if at all), which is important for mycology. David is a rapid thinker, full of ideas, and on top a very lovely and very reliable person. Since one of the leading lights and founders of ECMM, Prof. Edouard Drouhet, had passed away in 2000, Prof. Roderick Hay had talked with many colleagues about finding a way to honour Prof. Drouhet’s memory. As a result of these discussion it was proposed that a lecture will be given at every ECMM meeting, bearing Drouhet’s name. This idea was supported by the Executive Committee. Prof. Maria Anna Viviani, as Drouhet’s student, has generously organised for a medal to be designed and coined at her own expense, a medal which will be given to each lecturer. Prof. Viviani offers ECMM the first 20 medals and the casting by means of which more medals can be minted at a reasonable price. Prof. Viviani’s offer was accepted with gratitude. Edouard Drouhet , a key figure in the field of medical mycology during the last century, died on January 1, 2000, in Paris. He was born in Barlaad, Romania, in 1919 from a family of French descent. His grandfather was a medical doctor born in Blaye, in the Gironda region of France. Prof. Drouhet was very proud of his French ancestry. In his writing he recalls with great emotion a visit to Blaye made in 1997 following a meeting of the French Society of Medical Mycology held in Arcachon. That day he discovered in the cemetery of this small town the grave of his great-grand mother. In Romania Drouhet began his studies in medicine and in 1944 he obtained his degree in medicine. Twelve years later, he also obtained a degree in medicine at the University of Paris. Soon after the end of the Second World War, he moved to Paris, together with his wife Victoria having earned a grant from the French Government. In 1946 he joined Joseph Magrou, a physician and botanist and the director of the “Service de Physiologie Végétale-Mycologie” of the Pasteur Institute. Prof. Drouhet decided to settle in Paris and in 1948 he was appointed as “attaché de recherches” at the Centre National de la Recherche Scientifique (CNRS) under the direction of Prof. André Lwoff, Noble Prize for Medicine and Physiology. In Paris, he specialised in Microbiology at the Pasteur Institute (1947), in Serology at the Fournier Institute (1948), and in 1954 he definitely joined the Pasteur Institute as “Chef de Laboratoire” in the Service of Prof. Magrou. There he met Gabriel Segretain and François Mariat and the mutual understanding of the three scientists gave rise to the team that played a leading role in the development of Medical Mycology in France and in Europe. Under the influence of Drouhet, the Service modified the direction of its research programs turning from botany to medical mycology. It focused on human and animal pathogenic fungi and on the study of effective antifungal treatments for mycotic diseases. In 1953, Prof. Drouhet together with Drs. Segretain and Mariat founded the “Cours supérieur de mycologie médicale” at the Pasteur Institute, a post-graduate Course that in 48 years trained about a thousand mycologists from France and other European and extra-European countries. In a short period of time the Course gained importance representing probably the most important result of the teaching activities of Drouhet brought indefatigably, to France and overseas, until recent years. In 1953 Drouhet was also a co-founder of the International Society of Human and Animal Mycology (ISHAM) and in 1956, together with Segretain and Mariat, he founded the Société Française de Mycologie Médicale. These three Institutions promoted and significantly contributed to the great development of the Medical Mycology in the ensuing years. Forty years later, Prof. Drouhet supported with great enthusiasm the creation of the European Confederation of Medical Mycology (ECMM). He was convinced that future developments in European Medical Mycology would be achieved through the creation of networks on a continental level, dealing with epidemiological studies, on the standardization of diagnostic procedures, on educational programs and in training. 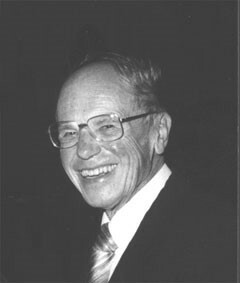 In 1972 Drouhet was given the rank of Professor at the Pasteur Institute and there he established the “Centre National de Référence des Mycoses et des Antifongiques” in Paris. In 1981, he succeeded Gabriel Segretain as Director of the “Unité de Mycologie” of the Pasteur Institute, a position that he held until his retirement in 1987. After his retirement, Drouhet actively participated in the scientific community ´s life and from 1990 he served as Chief Editor for the ”Journal de Mycologie Médicale”, which had replaced the “Bulletin de la Société Française de Mycologie Médicale”. Through his guidance, the journal became one of the most authoritative in the field of Medical Mycology. Since its beginning, Edouard Drouhet´s research work was characterized by its innovative nature. Before his era, the Pasteur Institute´s studies on fungal pathogens were restricted to the field of botany. Drouhet resolutely initiated the study of human and animal fungal pathogens, carrying out studies on the physiological and biochemical activities of these fungi in relation to their growth, morphogenesis and pathogenicity, and developing techniques for the rapid diagnosis of fungal diseases. Drouhet greatly contributed to a better knowledge of diseases due to opportunistic fungi. He highlighted new aspects of Candida albicans infections developing studies in prematures infants and children and discovering in 1980 a new cutaneous, ocular and osteoarticular septicemic syndrome in young heroin addicts. In 1953 he was the first to test in France such new antifungals as nystatin and amphotericin B, defining dosage and therapeutic indications and investigating their mechanisms of action. A constant interest of Drouhet´s researches was the host´s immunological response to fungal infections. By 1950 he had already shown the role of a capsular polysaccharide (glucuronoxylomannan) of Cryptococcus neoformans in fungal virulence, and identified it as the cause of the immunological paralysis during cryptococcosis. Finally he prepared standardised fungal antigens for the qualitative and quantitative study of serum antibodies in patients with deep-seated mycoses. On June 5, 1999, at the ECMM Congress in Dresden, Edouard Drouhet took his leave from the scientific community. He was very ill and suffering a great deal, but he forced himself to fulfil his commitment and gave a remarkable lecture on Emmonsia pasteuriana, the new species he had identified and named to commemorate his beloved Pasteur. The audience witnessed a great lesson of scientific discipline and style and acknowledged Drouhet as a world class medical mycologist. for more infromation on the artist, who made the medal, see below. After specializing in art subjects in secondary school, he attended the Accademy of Brera, guided by Francesco Messina. In the middle of 1950, with Guerreschi, Vaglieri, Romagnoni, Ceretti, Ferroni and Banchieri, he was a member took of the Milanese group of young artists, called Essential Realism. His works express the uneasiness and the anxiety of existence, particularly in his portraits, which are daily news of great expressive power and drama. Since his debut he has been participating to very important public art exhibitions, in Milan, Rome, New York, Pittsburgh, Hamburg, Lisbon, Madrid, Cologne, Hannover, Buenos Aires, Berlin, Bonn, Antwerp, Darmstadt. In 1962 he was invited to XXI Biennial Exhibition of Art in Venice, where he exhibited seven works. In 1968 he showed the memorable sculpture “Portrait of a Pope”, made with wood of Swiss stone pine, which aroused lively interest and was then collocated in Vatican Museums. The sculptor has also a great graphic activity, of which in ´73 is published the first general catalogue “a pitiless diary” edited by Enzo Fabiani and in those years began a series of bronzes that built up the “restless biography” of domestic affections. He taught at the secondary school of art and at the Academy of Brera when he was very young, than at the Academy of Carrara, of which he was the director until 1987 and president from 1991 to 1994, while he had a vital and never academic relationship with the education of young people, which would be always with him for the rest of his life. He left the teaching in Carrara to hold the chair of sculpture to the Polytechnic of Architecture of Darmstadt from 1987 to 1998. Since 1970, after wood and bronze, he has been enlarging his research to the use of marble, essential material for the cycle of great public works that would begin in ´80. He first worked in the Carrara study and then in the Viggiù one. Among his monumental works we remember the marble monument in Virgilio (Brindisi), the bronze memorial to Paolo VI (Sacro Monte of Varese), the marble monument of Candoglia to Paolo VI (Milan Cathedral), the high altar of Varese Cathedral, the monument to Cardinal Ferrari in Parma Cathedral, the complex of the high altar of the Loreto shrine Saint House, the marble memorial to the fallen in work in Carrara, the high altar of the Rho sanctuary, the altar of Vatican Grottos in S.Peter´s Basilica (Rome), the flight of doves in bronze for Agip offices of S. Donato Milanese, the memorial to Stradivari in Cremona, the bronze complex of Seven of Gottinga for the place of Parliament in Hannover(Germany), the Saint Door for the S.Giovanni´s Basilica in Laterano (Rome), The Altar of Eucharist to San Giovanni Rotondo in Renzo Piano´s architectonic complex, the memorial to Paolo VI in Aula Nervi in Vatican and the door of S.Vincenzo de Paoli´s Church in La Martella (Matera). In 1999, in Gemonio, opened the Civic Museum “Floriano Bodini”. He donated a lot of his works and other contemporary´s and a considerable collection of books. He died in Milan the 2nd July 2005. The 2nd November 2007 Milan gave him the honour of the Famedio in Monumental Cemetery as he was a citizen who took part to the history of the city.